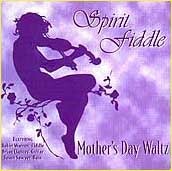 Mother's Day Waltz is a collection of fiddle waltzes played by Master Fiddler Robin Warren, with beautiful guitar accompaniment by Brian Clancey. With its smooth clear fiddle sound, tricky double-noting, and soulful interpretation of traditional slow tunes and waltzes, this album evokes memories of a quieter, simpler time. Little did we know, when we recorded this album in response to so many requests for a CD, that it would be the first in a series of many CDs and many years of music together. We are still so proud of this one, our very first. "When master fiddler Robin Warren plays an old-time waltz, magic happens. The sounds of her fiddle lift your spirit and warm your heart. This is ageless music, beautifully performed. Music for the soul." Robin Warren and Brian Clancey are joined on this album by Jason Sawyer on acoustic bass.